Does your car look bad and smell worse? Have you spilled food and coffee on the seats? 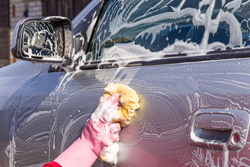 Does the exterior of your vehicle look dull and dirty? 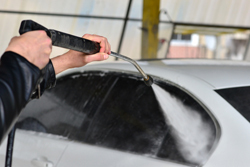 Call on Fast Mobile Car Wash in San Antonio, TX! We offer unbeatable mobile detailing services that are always thorough and professional. Schedule an appointment and find out more about our pricing by calling us today. Fast Mobile Car Wash was founded by Jose Orlando Alvarez, who brings his 15 years of experience from Monterrey, Coahuila, Mexico to San Antonio residents. Our family-oriented company believes in perfection, which benefits our clients every time they call on us. If you would like to see some of our customer testimonials or recommendations, don’t hesitate to ask us. 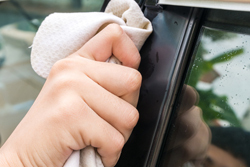 All three of our services include: complete interior vacuum; soft cloth wash and towel dry; windows cleaned; dust and dress doors, dash, and console; inside and out tires cleaned and dressed. 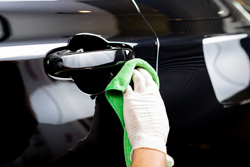 Contact us today to schedule a detailing appointment for your car, pickup, or SUV. Whether you want a simple wash or full detail, we will make sure your vehicle looks great when you get back on the road. Fast Mobile Car Wash also offers second-chance used car sales. If you’re looking for a great vehicle at an even better price, be sure to contact us for more information about our current models. 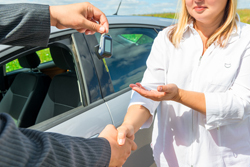 We’re sure we’ll be able to find the perfect vehicle for you at a price that is within your budget.